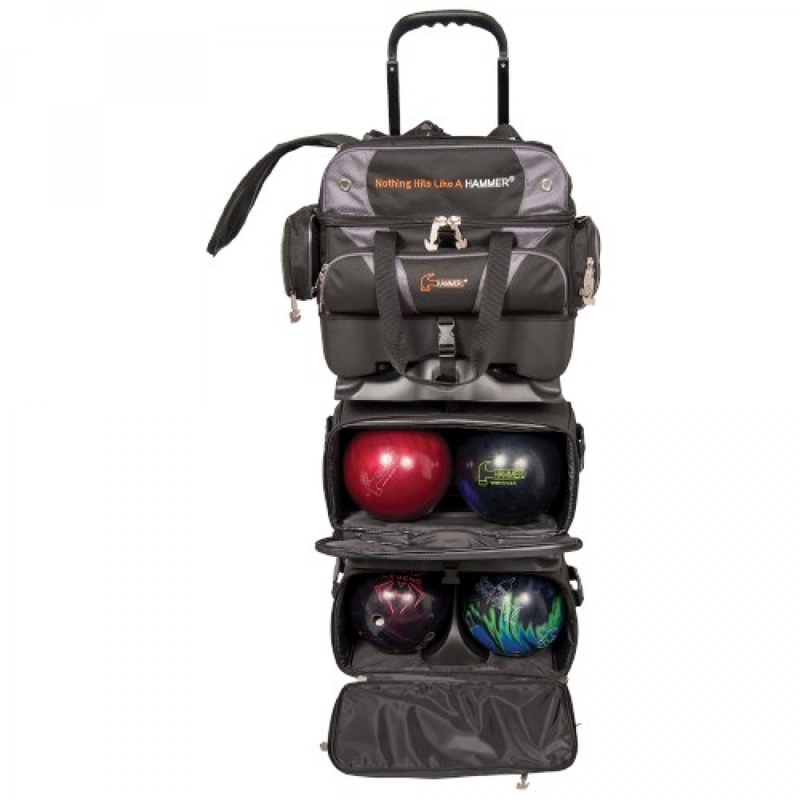 The Hammer Premium 6 Ball Roller Black/Carbon bowling bag features a new base, new wheels, and a new handle. This bag is everything you could want in a 6 ball bowling bag. From premium quality fabrics to deluxe features such as a removable 2 ball tote and a removable accessory pouch to large Smooth KRuze wheels and lots of pockets. 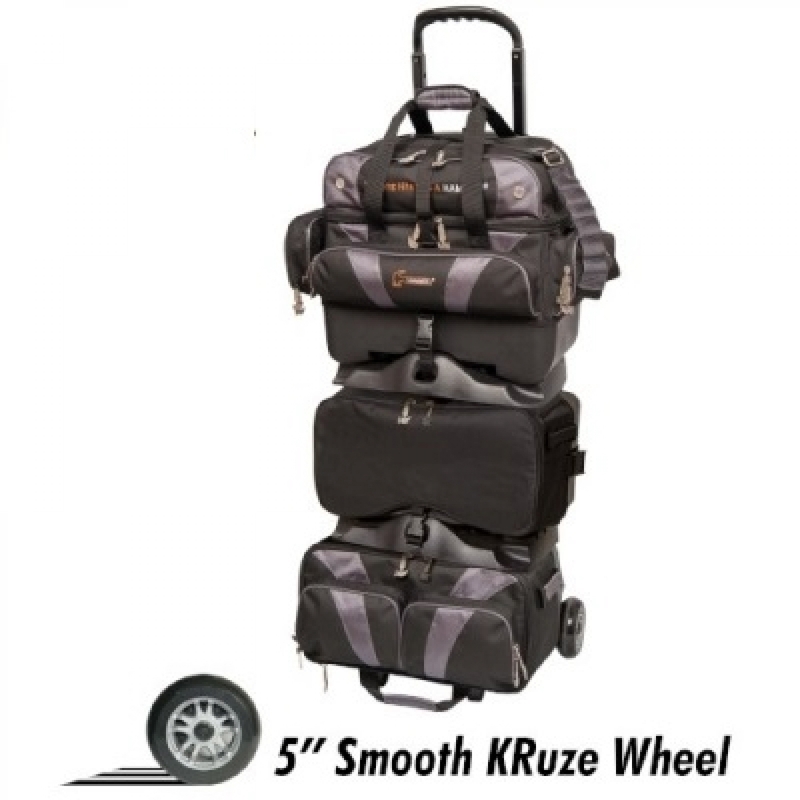 This is a great bag to carry your 6 ball arsenal!